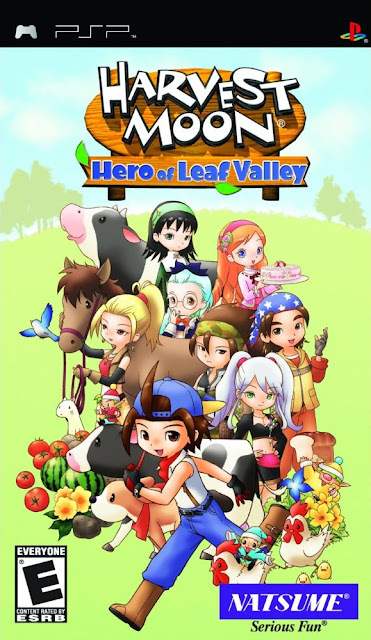 Harvest Moon series, players have been raising crops and tending to adorable livestock for years. In this iteration of Harvest Moon, you receive a farm located in Leaf Valley from your recently deceased grandfather. Before you can collect his things and return home, you're confronted by three Harvest sprites and the Harvest Goddess who all urge you to stay and help them. It turns out that a capitalist group named FunLand is threatening to level the town and construct an amusement park in its place. Even though your character has zero farming knowledge and has literally just arrived in the area, you're tasked with raising $50,000 in two years or else the community is doomed. Fortunately, coughing up the cash is only one way to save your newly inherited home; there are 16 possible pathways to put the kibosh on FunLand's park. If you successfully complete related storylines, you can help turn the town into a tourist attraction or a nature reserve.